When it comes to styling a room with brown wallpaper, taupe hues are a simple way to introduce this neutral shade. Taupe is one of those shades that goes with everything and we couldn’t mention taupe without highlighting a few of our most popular Kelly Hoppen designs. Kelly Hoppen is often referred to as the Queen of Taupe as this is a core shade featured in every collection. For a bolder option, the Knightsbridge Flock Taupe wallpaper will add style and glamour thanks to its metallic shimmer finish. 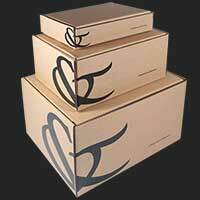 These three stunning designs prove that taupe is anything but dull. Unlike black, brown is more of a subtle shade but when you mix it with rich copper and gold, it adds warmth and textual touches. For instant wow-factor, choose a wallpaper that artfully mixes brown tones with metallic notes. For a backdrop that is both feminine and fabulous, look no further than our Quill Copper wallpaper. This design boasts a wonderful swaying branch print that is both relaxing and comforting. 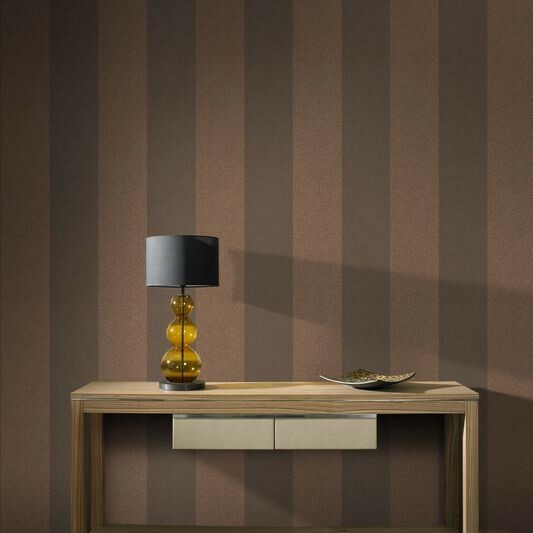 For more of statement, this Artisan Stripe Copper wallpaper is sure to cause a stir. 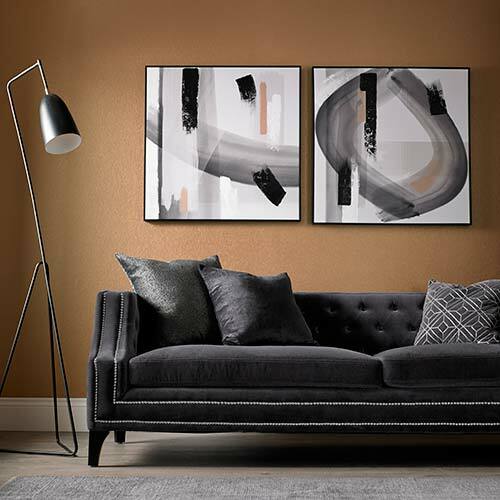 This luxurious design would look gorgeous in a master bedroom or a hallway. 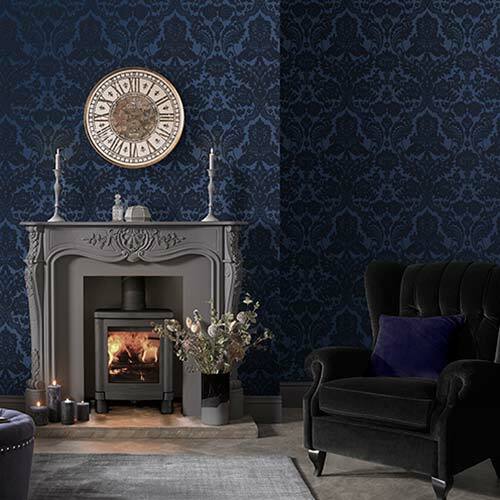 Equally as glamorous is the Gloriana Copper wallpaper with its classic damask print. Dark browns can be used to make large rooms feel cozier and for large bedrooms and living rooms we recommend this Matrix Chocolate and Bronze wallpaper design or the seductive Snake Brown wallpaper. If you want to use brown for a small room, use a paler shade or pair it with white to add light and create the illusion of space. Our Aurora Chocolate wallpaper would work wonderfully in a compact space. Beige tones like the ones used in this Zebra Brown wallpaper are one way to make the most of a small room. Decorating with brown is simple as it is one of the most versatile shades to work with. Use our top tips to style your room with brown this season.